The Leeds College of Business Evening MBA is designed to fit the demanding schedule of adult working professionals. Starting in May of each year, the program meets two evenings a week from 6:15 to 9:30 p.m. and is completed over six semesters. After the core courses are completed in the first four semesters, classes meet only once a week as students complete their electives. Due to the rigorous but innovative approach, these part-time students can graduate in only two years, much like a traditional full-time MBA program. 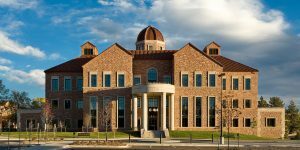 Evening MBA students have the option of taking classes in one of two campuses: the main CU Boulder location, or the South Denver location. Evening MBA students take the same core courses as the students in the full-time MBA program, but the courses are laid out differently in order to accommodate the schedules of working professionals. The first four semesters of the Evening MBA program consist of core courses, the majority of which only take a half-semester to complete. In the final two semesters of the program, students will take solely electives. The most recent Evening MBA class consists of 63 students who matriculated with an average GPA of 3.23 and seven years of work experience. Thirty-seven percent of the class is female, and five percent are international. The average age is 30, slightly older than the average for full-time programs. The entire tuition for the University of Colorado Leeds Evening MBA is currently $54,780, which is billed in six equal installments. While many students receive financial support from their employer, there are also a select number of merit scholarships offered only to Evening MBA students. The school notes that scholarship preference is given to students who are not receiving any company reimbursement. In order to apply to the Leeds School of Business, applicants must provide an online admissions form, unofficial transcripts from all institutions attended, GMAT or GRE scores (though the school notes the GMAT is preferred), two letters of professional recommendation, three required essays, and a $70 application fee. International students must submit official scores proving English proficiency—either the TOEFL, IELTS, or PTE exam.